History seems to have given Three Days Grace an inexplicable number of passes. Their bundling in with the emo crowd of the early- and mid-2000s might have helped at a time when any band with emotion of any kind was mercilessly fawned over, but the majority of those acts were at least clever or lyrically tactile. Three Days Grace, meanwhile, wallowed in the dour tones of post-grunge and abided by the most formulaic of angsty prostrating. Even when Matt Walst replaced Adam Gontier as lead vocalist in 2013, Human released two years later showed no evolution or progression that such a critical change could have welcomed, and made it perfectly clear that Three Days Grace are more than happy to play it safe rather than actually go out of their way for something with a bit more longevity. As such, any anticipation for what Outsider would bring was pretty slim; after all, it wasn’t as if a sudden epiphany would hit the band and encourage them to fully revamp their style into something brand new. And those low expectations have ultimately been met as Outsider is, beat for beat, the default Three Days Grace album. That’s far from a good thing on its own – this is most certainly not the type of band who can get away with recycling material at all, let alone two decades into their career – but what makes it worse is just how pedestrian it comes across, rolling out another round of drab hard rock to soundtrack more derivative platitudes almost totally devoid of substance. And naturally, that means another series of ankle-deep musings about not being understood that this band for thirteen-year-olds have become so well known for. If that title wasn’t enough to suggest it, Outsider couldn’t be less subtle if it tried, and with tracks like I Am An Outsider and The New Real about rallying against the vapid, popular crowd, the extents that these men in their late thirties are going to to pander to an edgy teen audience are laughably obvious. Of course, that’s always been Three Days Grace’s shtick, and thus there’s plenty here about being broken inside and just wanting to be loved on Nothing To Lose But You and Love Me Or Leave Me, or being turned into a scapegoat on Villain I’m Not, and you can practically see the music videos of a goth kid walking through the school halls already. This is painfully basic stuff, wringing every last drop from the box of clichés that they and innumerable other bands have already destroyed at this point, and it couldn’t feel more like a band spinning its wheels and nothing else. The instrumentation doesn’t exactly help here either, though to Three Days Grace’s credit, they’ve not entirely jumped on the bandwagon of saturating hard rock in gloss and electronics, instead electing to use these elements more sparingly for some of the best results on the album. Sure, the polish and AutoTune can be a bit much at points, and the overweight bubbling of Love Me Or Leave Me comes as close to totally running out of ideas as this sort of thing gets, but with the sharper guitars in Infra-Red and a groove on Me Against You akin to Muse’s disco-inspired material, this is what can actually work with a bit more focus and refinement. But that’s not the case here, and instead Outsider returns to torrents of dirge-like post-grunge that can’t even be bothered to throw a solo in occasionally for the tiniest bit of exhilaration. It’s all totally forgettable too, with tracks like Right Left Wrong and Chasing The First Time falling into complete mediocrity pretty much on impact, and even that’s without forgetting this album even exists the minute it finishes. And even with the occasional solid hook that might bother the memory a little more than some of the others, Walst offers no real identifiable personality here, easily able to be slotted into the category of “interchangeable post-grunge frontman” with little hesitation. But everyone knows all this. This is Three Days Grace, a band who’ve long stopped caring about quality, incisive material and have proceeded to milk the cash cow for as long as they can, just like so many others who somehow stood standing after the collapse of post-grunge. Outsider is as good as proof comes, a boring, lazily-written album that genuinely comes close to feeling like a parody at points, sold as the newest opus from a band who’ve grown all the more irrelevant by the day. Even the handful of tracks that manage to eke out something a little more can’t exactly be counted on to stick around, to the point where Three Days Grace with make effectively the same album again to undoubtedly the same results. Such is life. 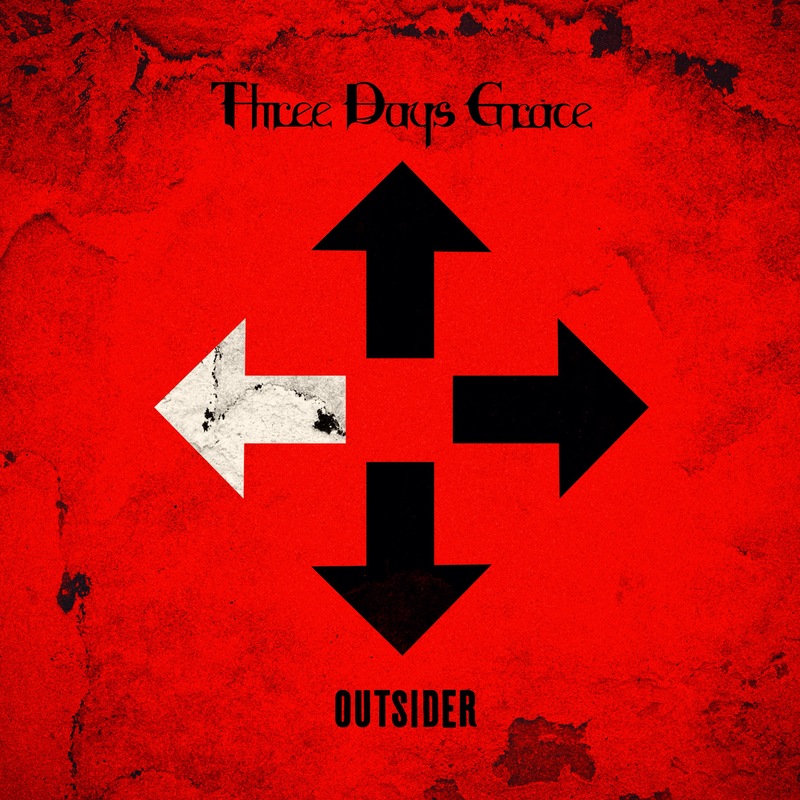 ‘Outsider’ by Three Days Grace is released on 9th March on Music For Nations.